Doing their hair can take them up to two hours! Kryz Uy of KryzUy.com and Vern Enciso and Verniece Enciso of VernVernice.com make blogging look so easy. But churning out great content for their blogs and social media feeds entails a lot of hard work. Every day, they have to curate the most stylish OOTDs, attend events, and make sure they’re as gorgeous as they can be until the minute they go home. “My hair is so thick, that’s why it takes me an hour [to style it],” shares Vern. To keep their locks in top shape, the girls frequently get salon treatments. “The keratin permanent blowout, I think it ranges from P10,000 to P15,000 for the length of my hair,” says Verniece. It’s not easy to be pretty, so no wonder they immediately said yes when we invited them to try a new hair product that promises to deliver the benefits of three salon treatments: hair spa, hot oil, and keratin. Watch the video to see how their salon date went! 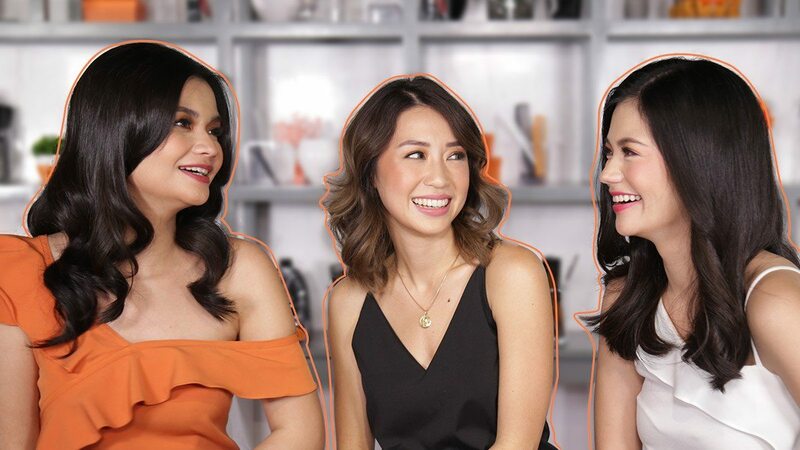 Want to have the same hair treatment Kryz, Vern, and Verniece had? Switch to Cream Silk Triple Expert Rescue, which is inspired by three expert hair treatments: hot oil, keratin, and hair spa. Visit Cream Silk’s Facebook page to learn more.